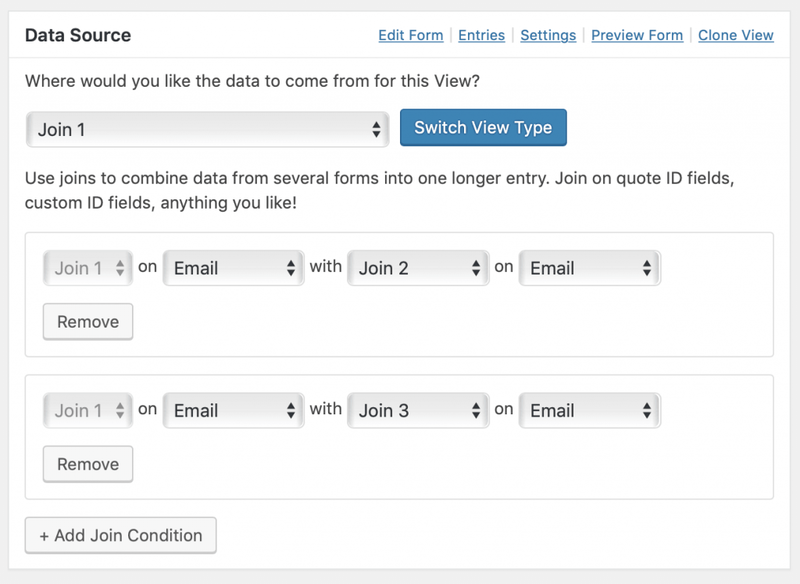 Use joins to combine data from several forms into one longer entry. Connect multiple forms that share field values. 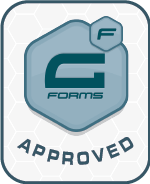 Connect multiple Gravity Forms forms that share field values. If you have two forms that share values (for example, both forms may contain a person’s email address, phone number, name, state, etc. ), you can combine them and show data from both forms in one View! Show all entries from Form A, regardless of whether the Form B field has content. Show only entries from Form A that have values in Form B. This is a phased rollout of functionality on Multiple Forms. We’re working quickly to get this functionality added. 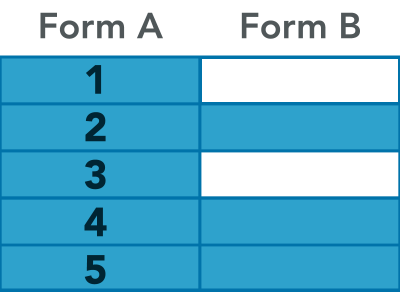 Show a row for each entry from each form, instead of combining the forms into one row. Developers: The plugin will support unions as well as the current joins.